Available as free downloads for Unity ministers and ministries. Contact us for the login/password information. How are these guides unique? Go beyond handing out visitor’s packets! Create a community-wide culture that engages, supports and guides people from their first guest visit, committed membership and finally to leadership. This three-phase system shares strategies for all sizes of spiritual communities—from beginning/small centers to mature/large centers. Even if your welcoming process is well-established, this guide provides proven practices that took our field-testing ministries welcome process to the next level. Yes, your volunteers are capable of making coffee—but is it one of their spiritual gifts? Imagine the joy and energy it would give your community when your volunteers discover and match their spiritual gifts with their service! This five-week facilitated small group class allows new and experienced community members into a deeper exploration of their true passions, core values and purpose… their spiritual gifts…and how they are being called to serve in the world. They truly become Sacred Servers. Your Sacred Servers have discovered their spiritual gifts…now what? Sacred Service Ministry members end up serving, growing and being served themselves. They deserve a whole systems approach for spiritual growth through their gifts-based service. A system that creates ways for those serving to feel successful, fulfilled, cared for and developed. The Sacred Service Ministry Guide is more than a “volunteer program,” it provides all your community will need to set up and develop your own Sacred Service ministry. This guide includes a step-by-step creation process, position descriptions, interview templates, a sample “opportunities list” and much more. You know a spiritual community needs an intentional process to help individuals develop their emotional and spiritual maturity…this means providing more than a worship service! Tailor-made for Unity communities, this guide delivers a wide selection of courses and techniques including a roadmap and implementation guidelines. You choose which will best fit the needs of your spiritual community members… meeting them where they are and moving forward to live your mission and vision. Great leaders do more than have meetings and come up with ideas…they are role models that inspire others to step into leadership with them and bring out the best in others, supporting their growth into leadership. Now imagine a spiritual community where all leaders truly act from a place of enlightened consciousness; modeling their community’s spiritual principles and core values to all they meet. Embodying Unity principles, the Leadership Development Guide shares ways to identify potential leaders, develop and coach them as they become the Unity leaders of the future. Leaders who inspire others to respond to their inner call to serve. Before you know where you are going, you have to know where you are! These guides help you set the stage for your ministry’s next stage of growth. Future Planning 1 Guide gives Unity communities the steps to hold “conscious conversations” and engage the whole community. Discover what is important and valued about your spiritual community and what the current state of your ministry really is. Future Planning 2 Guide shares options for defining your community’s future, as well as developing and implementing plans to realize it. This guide also includes real-life examples of how Unity field-testing ministries kept their communities engaged and focused on the future they wanted to create. What Makes Unity Worldwide Ministries' Leadership & Ministry Development Resource Guides Different From My Other Leadership Materials? The UWM Resource Guides are...field-tested by Unity leaders and spiritual communities and specifically designed to develop and support Unity leaders, potential leaders and the Unity spiritual communities they serve. These Resource Guides provide a whole-ministry process designed to support Unity leaders and communities by stepping into and embracing their potential...authentically and powerfully. If you are a Unity minister or ministry, contact us for the password to login for your free access to these materials. If not a Unity minster or ministry, decide which Guide(s) your community is most interested in, click on the cover picture or title of the Guide you are interested in and you'll be directed to our Unity Worldwide Ministries' Shop. Imagine inspired Unity leaders creating spiritual communities where there is more than enough - more than enough energy, creativity, expertise, volunteerism, financial support - an abundance of committed Unity students of all ages and backgrounds who come together to worship, minister, support, serve and make a difference in the world. Consider what it would be like to participate in a spiritual community that is so clear about who and what it has come here to be—that the majority play active roles in the community and are learning, growing and transforming themselves and the world. A community where there is a welcoming spirit that brings first-time guests face-to-face with the mirror of their own divinity and leads them into inspired leadership. This is our vision, but what kind of support systems would create this vision in our Unity communities? 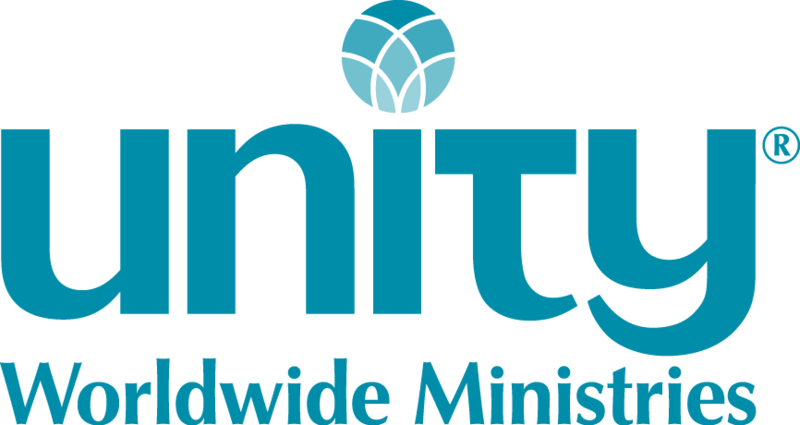 In 2009 Unity Worldwide Ministries, with the support of a grant from the Sir John Templeton Foundation, started on a journey with 13 volunteer Unity ministries, to develop a process designed to support Unity ministries in creating the above vision. This was accomplished by integrating the wisdom and divine consciousness of the Unity movement with leading-edge ministry practices from many sources into seven Resource Guides. In 2015, UWM finished creating seven downloadable Leadership and Ministry Resource Guides that offer a practical, researched and field-tested blueprint for Unity and New Thought spiritual communities. Each guide focuses on a different aspect of ministry and is designed to help a spiritual community identify what they may want or need to incorporate and the steps to implement them. The size and maturity of the ministry may dictate which components are chosen and how long it will take to implement it in the community. Want support as you work with these Guides? Contact us. Questions? Email or call us 816.524.7414.